Drake Blinds is the new name for quality window coverings in Ramsgate and the surrounding areas. But there’s nothing new about our unrivalled reputation for customer service, window blinds expertise and the widest choice of blinds, shutters, awnings and canopies for miles around. That’s because we’ve been your local blinds specialists for more than 25 years – trading as Apollo Blinds until 2011 when we reinvented ourselves as a fully independent window blinds company. This now means we can source products from a wider range of suppliers, allowing us to offer you better value for money and even more choice than ever. What’s more, we’ve evolved into a company that is far better placed to respond to your very individual needs. 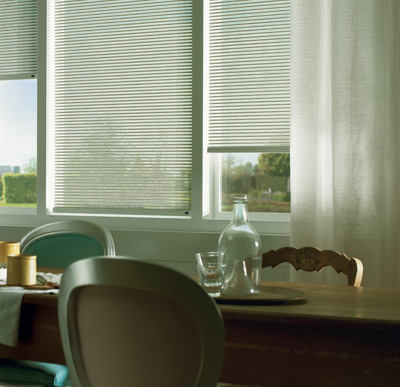 So whether you’re looking for a window treatment with an emphasis on style and sophistication or on functionality and technical features, we’re able to source and fit exactly the right blinds solution to suit you. And we’re still right here on your doorstep at our King Street store in Ramsgate, where our family business has been trading since 1984. So call into our showroom, where you’ll find an exciting new range of products on display or arrange a FREE no-obligation visit by calling 01843 580860 today. “We are very pleased by the “Plantation Shutters” supplied and fitted by Drake blinds. Nigel’s advice on the options available was extremely helpful. His fitting workmanship, speed and cleanliness was very good. We have had many complements, from friends, and visitors, on the look and finish. “Thank you for your prompt service in fitting our new blinds. We are very pleased with them, they have made our conservatory warm and cosy for the winter, and will provide much needed shade in the summer. “We discovered Drake Blinds by chance and so glad that we did, as the service and workmanship we received was 100%. The finished result was better than we anticipated and Nigel went above and beyond, even working late in the evening to give us the perfect finish. We would high recommend Drake Blinds and have done so to many others”. “Drake Blinds have provided the perfect solutions to our various requirements when we moved into a renovated Victorian house which had no window coverings. We are delighted with the plantation-style shutters for the four bay windows of our bedrooms and living rooms. We are equally pleased with the blinds Nigel and his wife helped us select for the kitchen, bathroom and shower room. Nigel also suggested an ingenious product for the tilt-and-turn windows in our attic rooms.